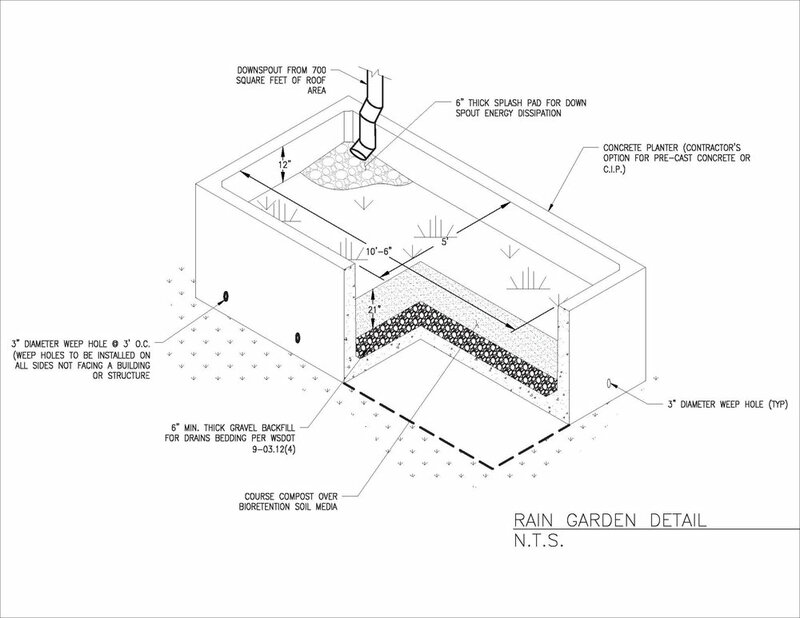 Above grade rain garden details. Boeing contracted IMCO Construction and MWH to provide the design and construction of three canopies as part of the new Skydrol-Glycol facility located at the Boeing facility located in Everett, WA. 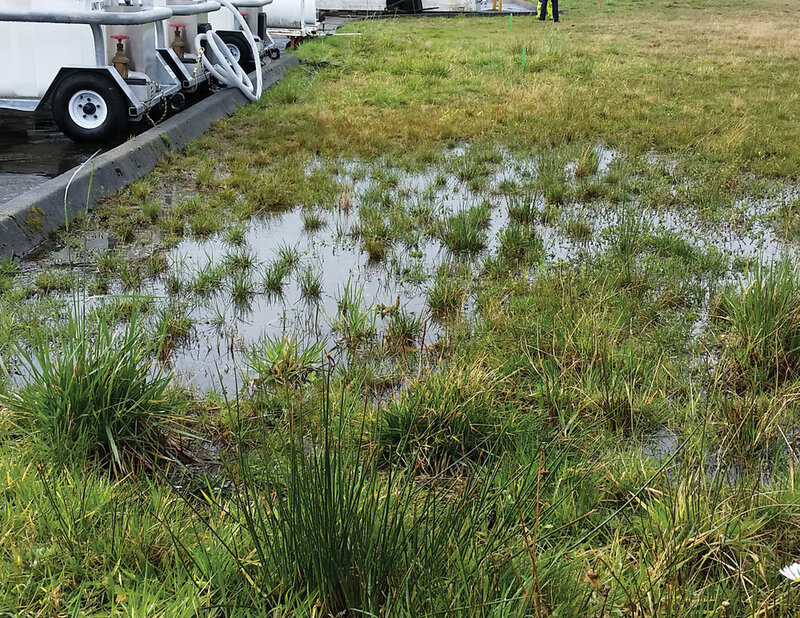 Upon 60% review, the new glycol truck storage canopy, known as Building 45-61, was determined to be located within an alternative drainage basin, triggering a drainage analysis along with meeting City of Everett Stormwater Management Manual requirements. Alternative siting for 45-61 was not possible due to significant space constraints including an adjacent above ground jet fuel line, below grade pressure sanitary line, the Boeing property line along SR-526, and the requirement to remain outside of the runway magnetic neutrality zone. Pacific Stormwater became part of the team at the 60% design phase to rapidly develop stormwater mitigation design alternatives in coordination with the City of Everett. Three initial concepts were modeled and presented to Boeing management for consideration, with the above ground rain garden design option selected. To expedite permit processing, Pacific Stormwater prepared the Technical Information Report and provided review of existing and additional details and specifications for inclusion in the final civil package submitted by MWH. Additional technical memorandums included review and supplemental language for inclusion in the overall project Construction SWPPP, Boeing Site SWPPP, and TESC Plan.